This small Arizona Scorpion was found under a rock by my friend Tom, near the border with Mexico. Gertschius agilis are fast and not often seen. I am fortunate to have a photo of this agile scorpion. Formerly known as Serradigitus agilis. 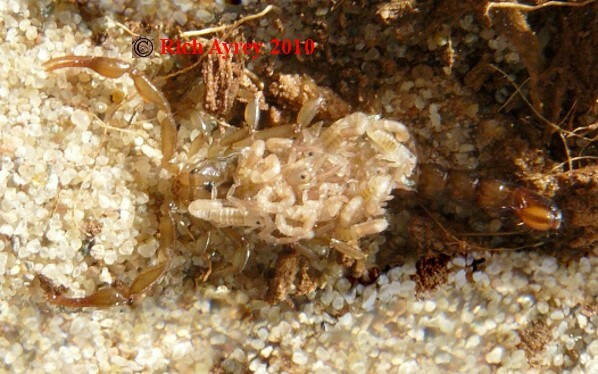 The second pic is of a Gertschius agilis with young. This site copyright Rich Ayrey 2008-2017 Flastaff, Arizona. 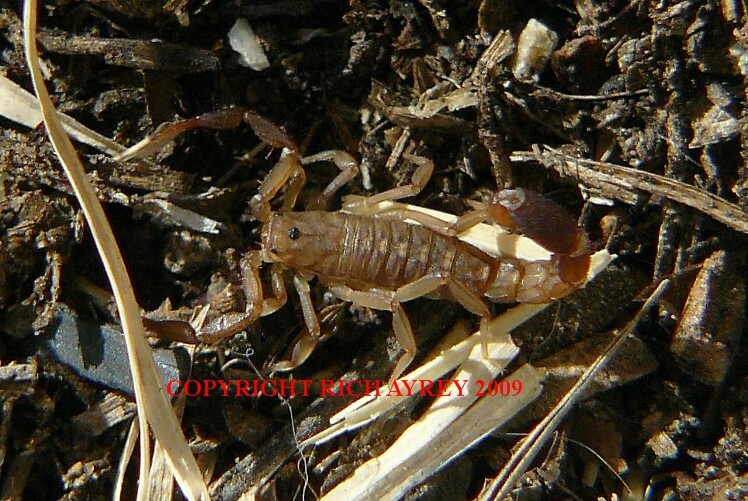 This Arizona Scorpion page created 04/29/08.